The Lowdown: A colossal waste of talent, this is one ‘Snowman’ you’d be happy to see melt away. 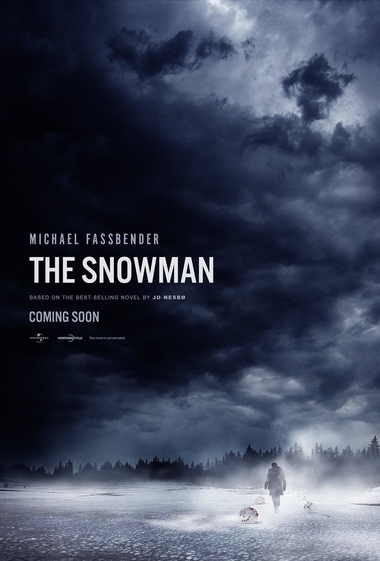 The Snowman is a rather disastrous adaptation of the best-selling novel of the same name by Jo Nesbø. Struggling to overcome tremendously poor word of mouth and an overwhelmingly negative reception by critics, the icy, Norway-set crime thriller was DOA in cinemas upon opening. Directed by Tomas Alfredson (widely acclaimed for Let the Right One In and Tinker Tailor Soldier Spy), the primary issue with The Snowman is its incoherence. Even between Alfredson, three screenwriters (two of them Academy Award-nominated; Hossein Amini, Peter Straughan), and two Academy Award-winning editors (Claire Simpson, Thelma Schoonmaker) the story is a difficult-to-follow mush of underdeveloped ideas. 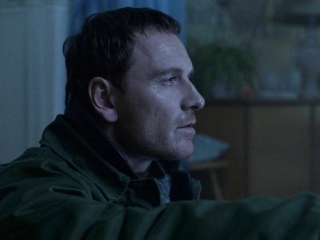 Michael Fassbender stars as the unfortunately named Harry Hole, a Norwegian detective of great repute who has seen his career sidelined due to blackout-inducing alcohol binges. He’s assigned a new partner, fresh-faced Katrine Bratt (Rebecca Ferguson), who’s on the case of a string of murders characterized by a trademark snowman left behind at the scene. Hole is inspired to take his duties seriously, fascinated by an emerging pattern behind the killings involving infertility treatment and unknown paternity. As the narrative bumbles along the various threads appear to be heading somewhere revelatory—they aren’t. Red herrings abound (Chloë Sevigny as Norwegian identical twins, J.K. Simmons as a Norwegian businessman trying to secure Oslo as host for the winter World Cup, Val Kilmer as another Norwegian detective who discovered a Snowman victim some years ago) as Hole and Bratt soldier on. The reason for the emphasis on the characters’ Norwegian heritage is that, although set in Norway, there is no consistency in the variety of accents. In fact, it often seems as if the Oslo police department (at least) has been taken over by a bunch of Brits and Americans without any explanation. Most of these actors don’t seem to know why they’re part of the story. Kilmer, who was reportedly still recuperating from oral cancer treatment during production, has had all his lines dubbed by a different (decidedly non-Kilmeresque) actor. Not only is it distracting, it was unnecessary as Kilmer’s ill-defined role is so peripheral to the “plot” that his entire performance could’ve simply been cut without making matters any worse. By the time The Snowman reaches its bewildering conclusion, it’s unlikely anyone still awake will even care. The final insult is that the villain of the piece, once finally revealed, is disposed of by such a chance occurrence that he (or she, don’t want to give anything away) might as well have been struck by lightning.